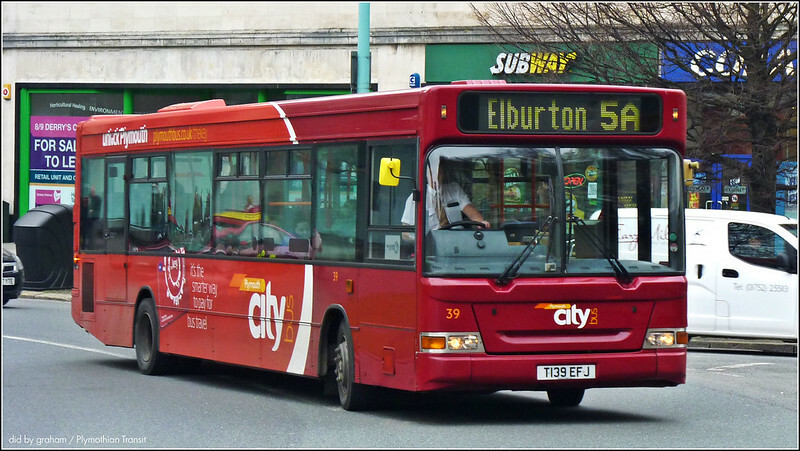 T139EFJ has been reinstated back into service with Plymouth Citybus where it is the last of the T reg batch. 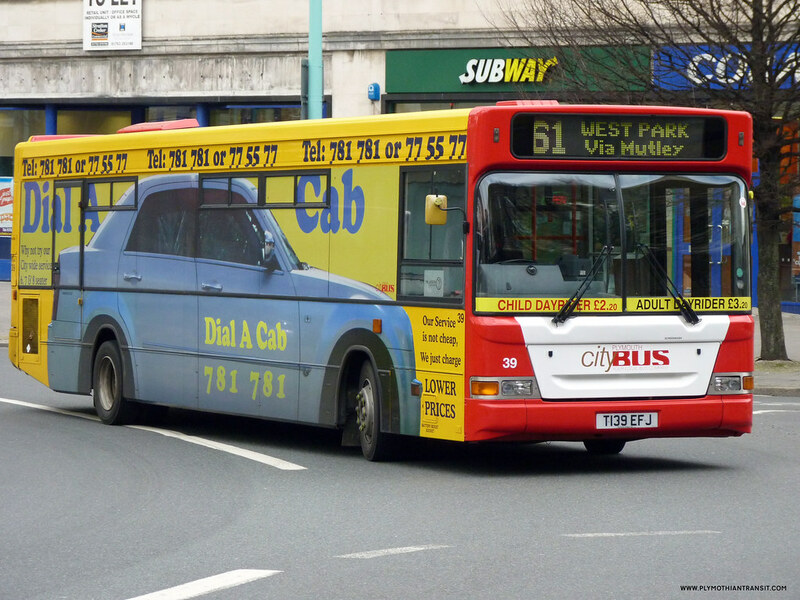 What a difference a good livery makes! 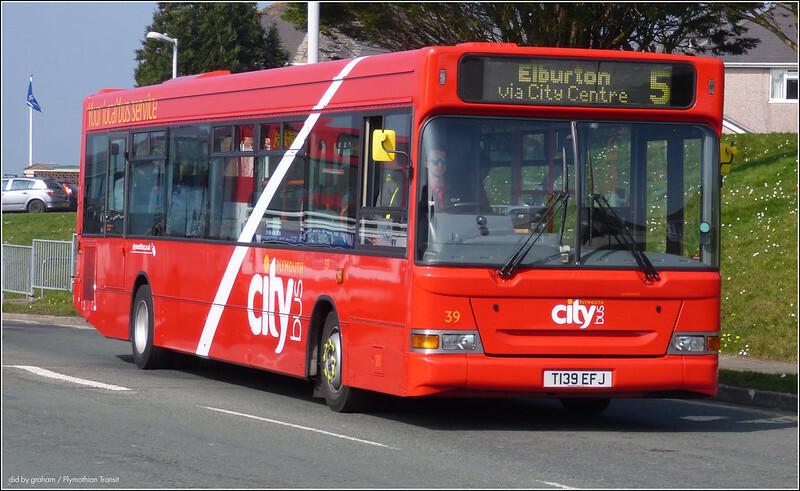 How many passengers would assume 39 is a new bus on first sight? It's interesting that the vehicle's waistline appears to curve downwards behind the rear wheel - a feature noticeable in all three photos.